Brussel sprouts, I think you either love them or hate them. I used to hate them, but now I…like them. We haven’t reached the LOVE stage yet. 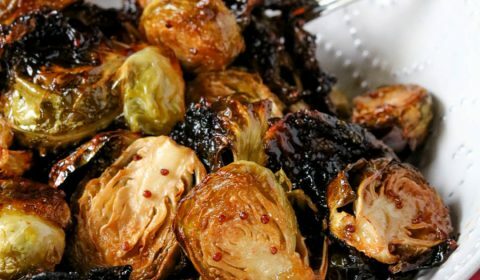 When I do cook brussel sprouts I like to make them caramelized with a sweet and tangy sauce, like with these honey caramelized brussel sprouts. 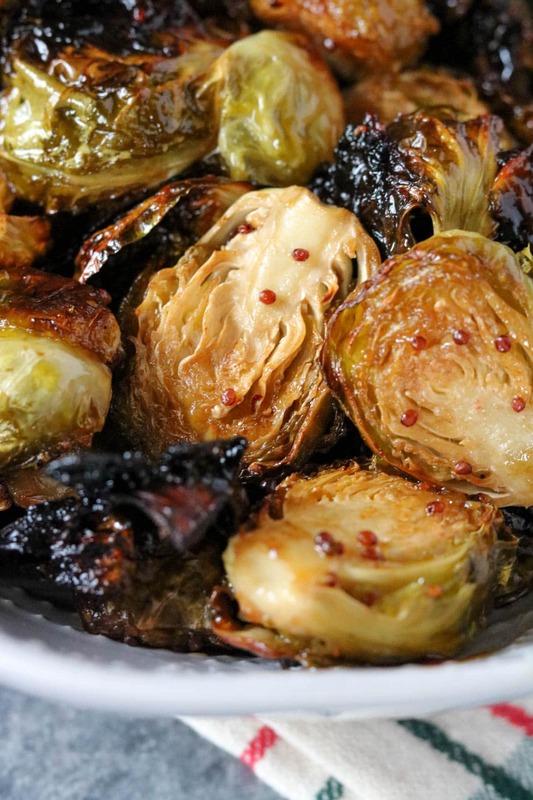 I also like to leave the loose leafs on the pan when I roast them, that way I get the dark, crispy pieces to enjoy along with the full brussel sprout heads. These honey caramelized brussel sprouts are another super easy side dish to include with Christmas dinner. Like I mentioned before, I’m treating you to an easy Christmas dinner that is full on flavor but short on time. Count that as my Christmas gift to all of you! 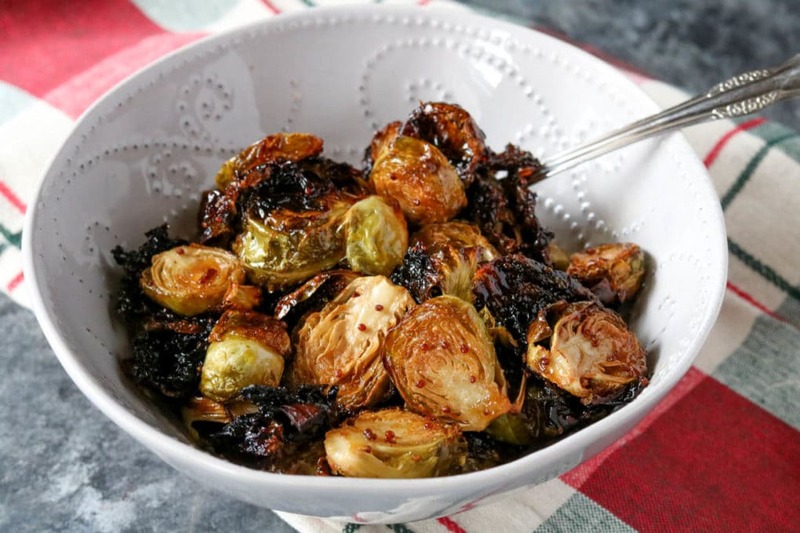 The whole grain mustard and balsamic vinaigrette balances out the sweetness of the honey and makes the perfect caramelized glaze for these brussel sprouts. Slice off the bottoms of each brussel sprout, then cut lengthwise. Remove any damaged outer leaves but keep any loose ones that are in good shape. In a large bowl, combine the balsamic vinaigrette, olive oil, raw honey and mustard. Whisk to combine. Add brussel sprouts into bowl with glaze and toss to coat. 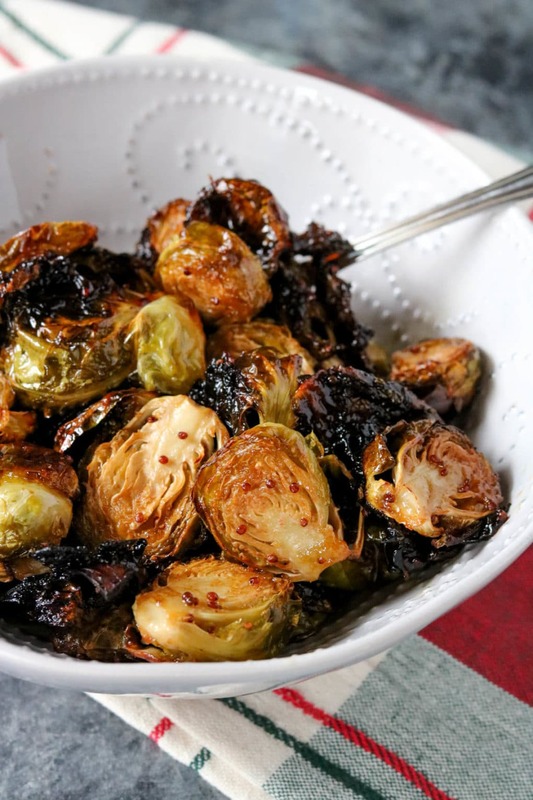 Transfer the brussel sprouts to a lined baking sheet, season with salt and pepper, and roast for 20-25 minutes or until tender and the glaze has caramelized.